As turkeys are cooking this Thursday and side dishes warming up, the weather will be bitterly cold across the northeastern United States. For some cities it’ll be the coldest Thanksgiving in a couple decades, but for others it’ll be the coldest in more than 100 years with high temperatures 15 to 30 degrees below normal. Strong high pressure from the Arctic Circle will move southward across Canada and into the Northeast, resulting in temperatures you might expect on New Year's Day rather than Thanksgiving Day. For some cities, high temperatures could be close to the coldest on record no matter what day of the month the holiday has been celebrated (e.g. Nov. 22, Nov. 24, Nov. 26, etc.). The official U.S. Thanksgiving Day was celebrated on the last Thursday of November from 1863 through 1938, on the next-to-last Thursday from 1939 through 1941, and on the fourth Thursday from 1942 to the present. New York City has only had three Thanksgivings dating to 1870 when the high temperature didn’t get above the 20s, according to National Weather Service statistics. The coldest was a high of 26 degrees on November 28, 1901. 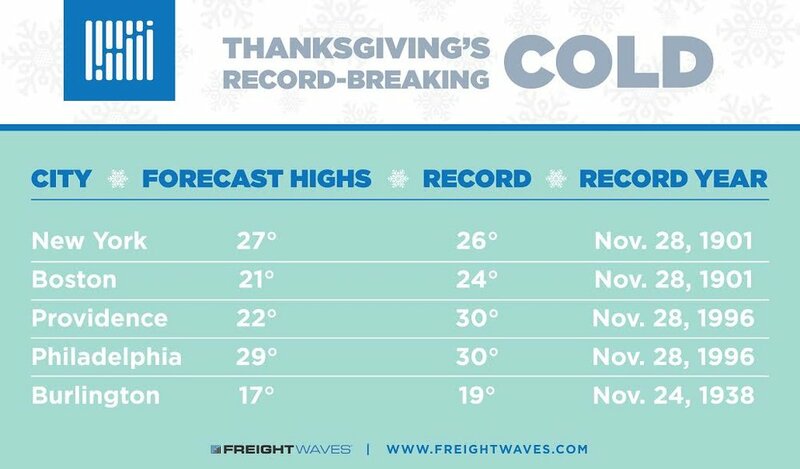 Thanksgiving records could also be broken in Boston and Philadelphia. Several inches of snow could fall across interior portions of New England as well as upstate New York, but there will be a lot more wind than snow. Harsh gusts of 15 to 30 mph will make the already frigid air feel even colder, creating wind chills in the single digits and teens across much of the region. However, in northern Maine wind chills on Thanksgiving morning will fall below zero, making frostbite a risk for anyone who spends too much time outside. Everybody will have to bundle up when heading to parades and family dinners. 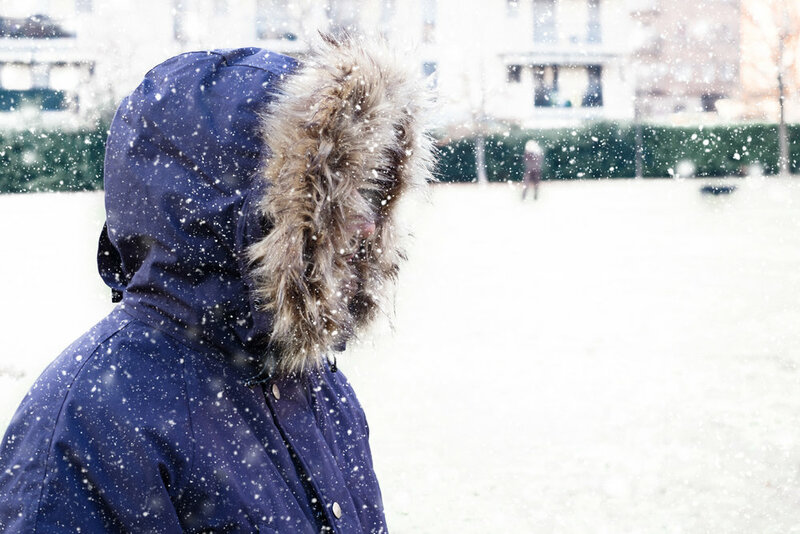 The National Weather Service and health experts suggest dressing in several layers. Also, don’t forget to wear a hat, gloves, and scarf to cover as much of your skin as possible. We lose a lot heat from our head and hands. Hopefully truckers will follow the same recommendations and stay warm. Driving will be a bit difficult because of the wind on Thanksgiving, especially for deadheading or hauling light loads. Visibility will be limited at times due to blowing snow. Also, the unusually cold weather will cause delays from fuel gelling in untreated diesel, as well as rough starts for batteries with low Cold Cranking Amps (CCA) values. Fleet managers will need to plan ahead and make sure their drivers are prepared. Other cities in the deep freeze include, but are not limited to Albany, Baltimore, Buffalo, Pittsburgh, and Washington, D.C. Have a safe and happy Thanksgiving!